Sakuta's classmate who is always cool and calm. 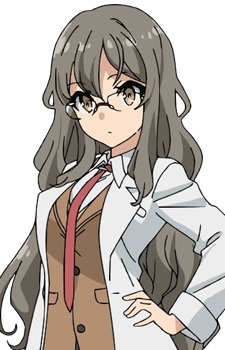 She is the sole member of the Science Club and is known as an eccentric person at school. She is also one of Sakuta's two friends and is always willing to give various advice on puberty syndrome.